Monitors have always been a static object on my desk. What started as a massive CRT in the late 90s transitioned to an array of flat panels in the mid-2000s before making the move to a single 4K TV a few years back. 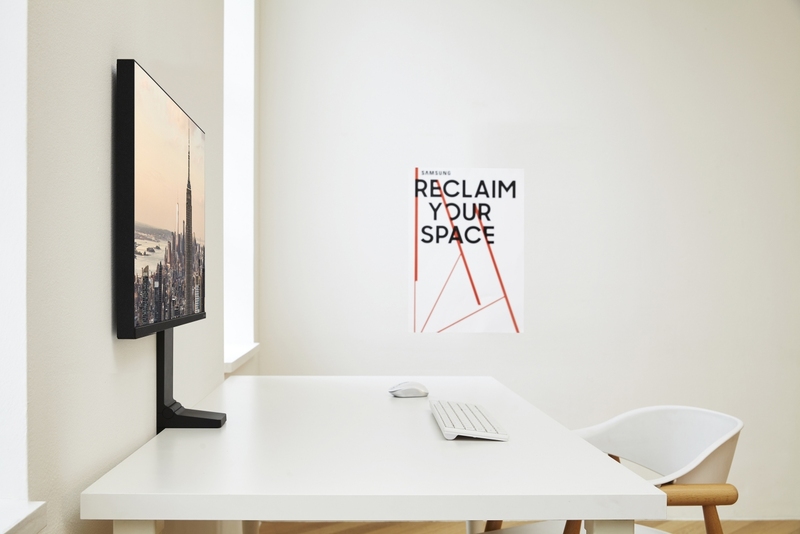 The modern and minimalist Samsung Space Monitor features a fully adjustable arm that clamps to the back of your desk. The idea is that, when not in use or when you need more desk space, you can adjust the monitor to move it out of the way. 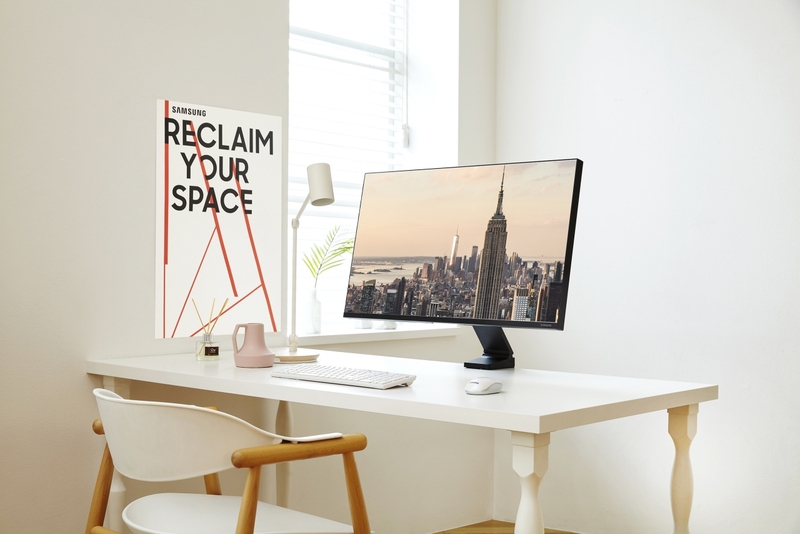 Offered in 27-inch QHD and 32-inch 4K UHD models, the Space Monitor also includes a discrete cable management system to help keep your workspace tidy. The Samsung Space Monitor will be on display at Samsung’s booth (#15006) at the Las Vegas Convention Center during CES next week. Samsung hasn’t yet said how much the screens will sell for, nor do we have a launch date for them. A press release from Business Wire said they’d be available to pre-order from today exclusively at Amazon, Best Buy and Samsung but that reference was omitted from the release on Samsung’s website and sure enough, they aren’t showing up on these sites as of this writing. Note: The 27 QHD has 144hz. I hope it has freesync as well. Strictly speaking it is the monitor arm that is space saving rather than the monitor (most monitors these days are pretty thin). I had an arm 25 years ago to move my old CRT monitor out of the way off the desk when not in use - of course the monitor wasn't nice and thin then but the idea was the same. VitalyT, psycros and JaredTheDragon like this. I have a couple of arms that clamp to the edge of the desk that save me the same space. They are about £35 each or something and work with any monitor. I bet the arms are more adjustable as well. So no need to buy a whole new monitor for this, You can use the ones you have and keep this advantage as you upgrade. I do like the near frameless design of this monitor but on a desktop it's not really important, Works well on a laptop like the XPS15 and others though. Same here. Truly neat to have that 15-inch box just floating off the side of your desk, or above it. Totally reclaimed all that space. The discrete cable management system interests me on this. Are the ports in the base of the mount? Or are the mounts designed to run the cables through the mount? Or are these just renderings of their new monitors that don't even have cables attached.